Speaker David Couch, Managing Director for Metro Solutions, provided an update on the University Line on Richmond Avenue. Metro recently received a Record of Decision from the FTA. The alignment of the rail is also set. Metro will now focus on planning the rail line, including reviewing traffic signals/flow and lane/sidewalk widths. Metro expects planning to continue through the remainder of the year, with detailed design beginning early next year. Metro assured the group community input and agreement would be sought before detailed design began. I specifically asked about left turns out of Richwood Place and David answered that our community input would be requested in this planning phase. It looks like planning and design will continue in parallel with property acquisition and further requests for funding over the next several years. That means construction may not begin for two or three more years. Scott McClelland, HEB Houston Division President, has assured the Neartown Association that HEB wants community involvement in the selection of the store design. He will use Swamplot.com as a means of communicaiton, including creating a voting mechanism for final design preference. He now believes the cost delta for the park is around $700,000 , and he hopes he can work with the community to raise the money for the project. Some of you may have heard the delta was closer to 2 or 3 million, however, creating a two story structure with the store on the second level would provide retail opportunities on the first level that would help close the gap. HEB has also confirmed the City of Houston would maintain a park if one is built. There is at least one store plan created (by a HEB architect) and several more are expected soon. A new 13-story building is planned for the corner of Montrose and 59. I searched swamplot and found two links about the project here and here. The home at 2310 Converse, just North of Fairview, has recently become a new bar, the Muffin Man. The hours for the bar are listed from 11pm until 5am. This bar has opened in a residence in the middle of a neighborhood street and is raising serious concerns in the Montrose community. The group is working to understand how to prevent this from ocurring. Next month’s meeting will include discussions from representatives of the new Whole Foods market planned on Waugh and an update on the 13-story building mentioned above. The next Positive Interaction Program (PIP) meeting for with the Houston Police Department (neighborhood crime for the Central District #1) is scheduled for tomorrow at 7pm at 1602 State Street. Mayor Parker will host a public meeting regarding the Koehler Street Development proposals (simply put, the Washington Corridor WalMart) at the George R. Brown Convention Center, 6:30-8:30 p.m. Wednesday. 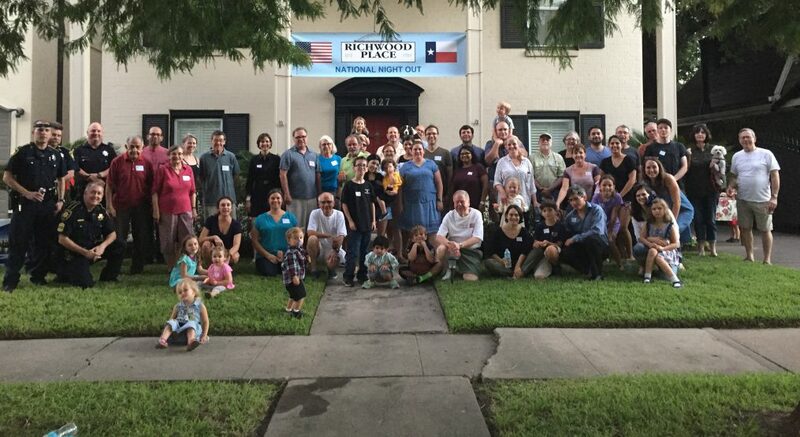 Click here for the Houston Chronicle article detailing the meeting.